Last week, Governor Andrew Cuomo released his Executive Budget for fiscal year 2017, which, for the state, begins April 1. 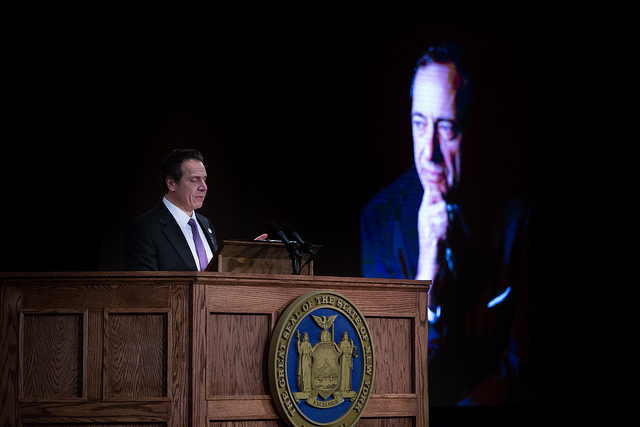 It was not without controversy for the city, with Cuomo including significant cuts to state aid for city Medicaid and CUNY costs. 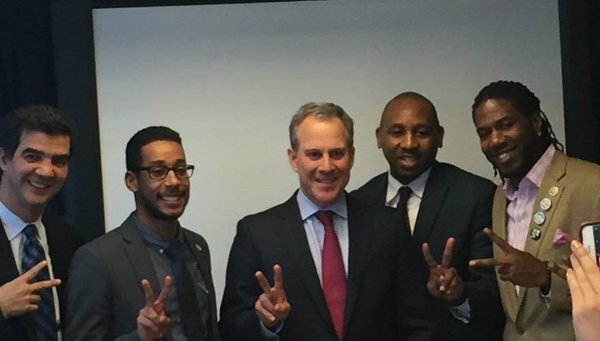 Mayor Bill de Blasio and others from the city pushed back quickly and firmly, and the governor seemed to indicate that he was ready to work with the mayor and others to find efficiencies in the two programs in order to save money, rather than simply moving costs to the city. This week, it's de Blasio's turn. The mayor is due to release his Preliminary Budget for FY17 on Thursday. It will be especially interesting to see how the mayor accounts for the Medicaid and CUNY aspects of Cuomo's budget. Also, many are watching to see if the mayor calls for clearer savings from his agencies - a majority of City Council members sent the mayor a letter recently, asking him to ask his commissioners to identify five percent savings. The city budget has grown significantly over the past two years, in part due to labor contracts the mayor has signed - he inherited a labor situation with none of the city's labor unions under non-expired contract. The state legislature is in session on Wednesday and Thursday in Albany, beginning budget hearings on the governor's budget. And, on Wednesday, the legislature will consider the governor's nominee to fill the vacancy for the state's chief judge. Details below. 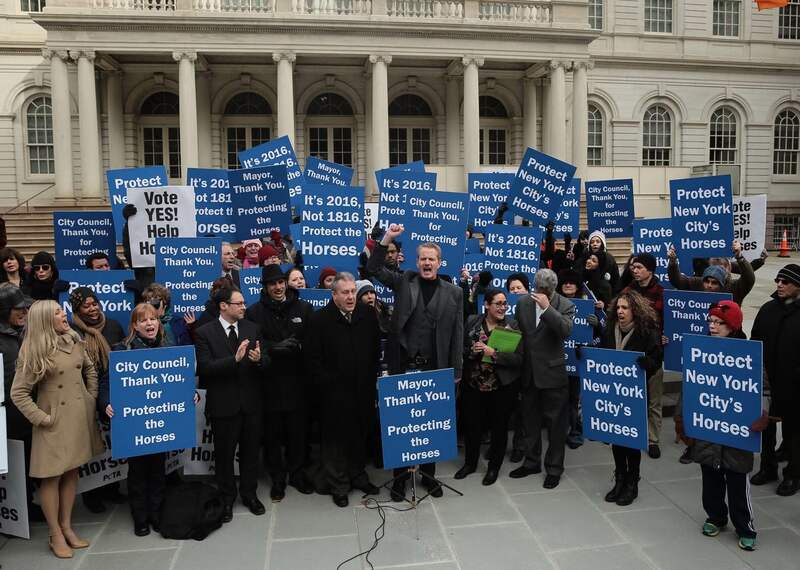 In the city, we're watching reaction to the announcement of a deal on Central Park carriage horses, announced Sunday evening; what the next steps are related to the for-hire vehicle study the city released Friday, as well as the related legislative package the City Council announced, and more. We also saw on Friday the expiration of the 421-a real estate development tax break meant to spur affodable housing. What's next there is also to be seen. Monday is Martin Luther King Jr. Day. There are commemorative events all over the city and many elected officials are either holding events or participating in them. At 2:45 p.m., "the Mayor will deliver remarks at the National Action Network's Dr. Martin Luther King, Jr. Day Policy Forum in Manhattan." "In the evening, the Mayor will deliver remarks at the St. Mary's Episcopal Church's Community Celebration in honor of Dr. Martin Luther King, Jr. Day." City Council Speaker Melissa Mark-Viverito will also speak at the BAM event, at 10:30 a.m. She will then speak at Convent Avenue Baptist Church's Martin Luther King Day service at 11:30, and at the National Action Network event at 1:15 p.m.
Public Advocate Letitia James has nine Martin Luther King Jr. Day events on her schedule, including the BAM and NAN events mentioned above. Comptroller Scott Stringer has several MLK Day events on his schedule, too. Gov. 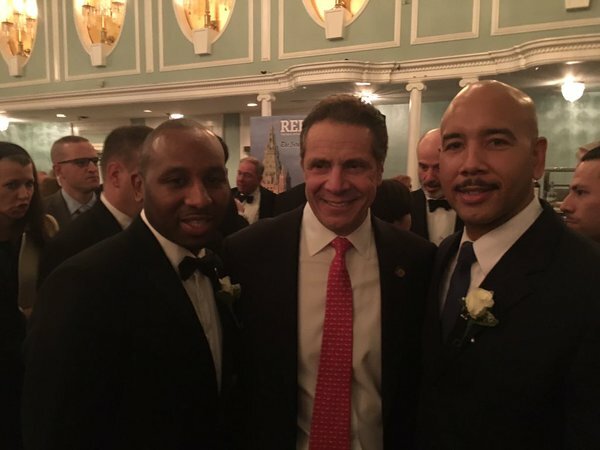 Cuomo will be honored at NAN, according to the governor's public schedule, on Monday at 3 p.m., "Governor Cuomo Delivers Remarks and Receives the "Dr. Martin Luther King, Jr. Crusader for Social Justice Award" at the National Action Network's Annual NY King Day Public Policy Forum." After the event, "the Governor will join the National Action Network in a "Fight for Fair Pay" march." At 10 a.m., the Committee on Finance will meet on three bills related to business improvement districts, one bill that would "require the Department of Finance to include a notice regarding legal and preferential rents on certain documents related to the NYC Rent Freeze Program" and a resolution to approve designation changes in its expense budget. At 1:30 p.m., the Council will have a Stated Meeting. It will be prefaced, as usual, by the Speaker's pre-stated press conference at 12:30. At 10 a.m. in the John Adams Houses projects in the Bronx, New York City Housing Authority CEO and Chair Shola Olatoye is expected to announce "the completion of major CCTV installation and ongoing security upgrades at 32 NYCHA developments citywide." At 11 a.m. at the Razi School in Queens, "Mayor de Blasio will host a press conference to make an announcement related to Vision Zero." At 11:30 a.m. outside City Hall, "Wheelchair advocates and taxi drivers will join together...in a first-of-its-kind rally aimed at forcing the City Council to act and leveling the playing field for all sectors of the taxi and for-hire industries...Uber now has over 30,000 vehicles in the city, but not a single one is wheelchair accessible. Uber's growth has also driven down medallion values, poached drivers from the taxi industry, and reduced taxi-generated MTA revenue by displacing existing taxi pickups." On Tuesday at 5:30 p.m. a large number of community groups will organize representatives outside U.S. Attorney Preet Bharar's office, where "Youth speakout to demand Preet Bharara & DOJ prioritize justice in killing of Ramarley Graham and protection of Black & Brown young people's lives." The action is being led by Communities United for Police Reform. 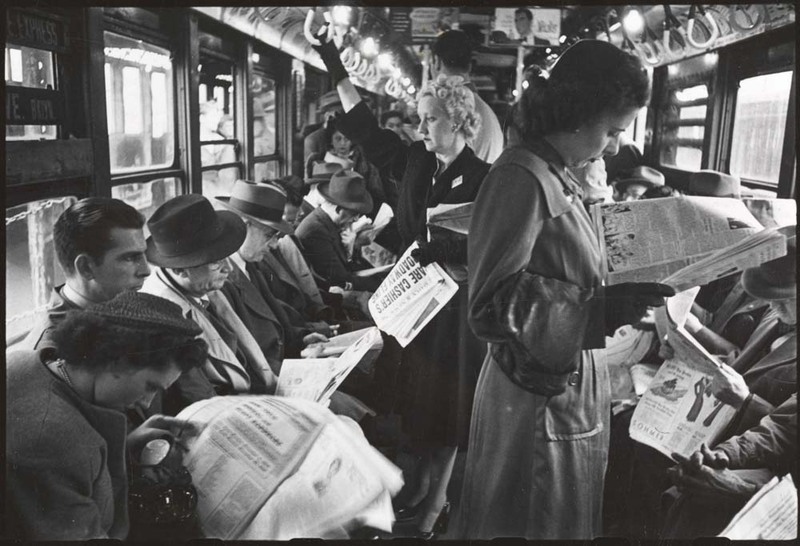 At 6:30 p.m., the Museum of the City of New York is hosting a panel called "Housing a Growing City," featuring City Council Member Ritchie Torres, Department of City Planning Executive Director Purnima Kapur, Citizens Housing and Planning Council Executive Director Sarah Watson and Seema Agnani and National CAPACD's director of policy and civic engagement. The panel will be moderated by Ingrid Gould Ellen, NYU professor and the director of the Furman Center for Real Estate and Urban Policy. At 10 a.m., the Committees on Fire and Criminal Justice Services and Parks and Recreation will meet for an oversight hearing to examine Hart Island's future and to introduce a bill that would give the Department of Parks and Recreation jurisdiction over the island, which is currently controlled by the corrections department. At 1 p.m., the Committee on Youth Services will have an oversight hearing to discuss "Connecting Young People to Volunteer Opportunities". At 9:30 a.m., a joint legislative public hearing on the governor's 2016-2017 budget proposal on transportation. At 11 a.m., a joint hearing by the Assembly Standing Committees on Corporations, Authorities and Commissions and Economic Development, Job Creation, Commerce and Industry will be held about "Providing Affordable and High Quality Cable, Broadband, and Telephone Service". At 1 p.m., the Senate Judiciary Committee will hold a hearing about the appointment of Gov. Cuomo's nominee for Chief Judge of the Court of Appeals, Westchester County District Attorney Janet DiFiore. The City Planning Commission will discuss several items during a public meeting at 22 Reade Street at 10 a.m. Wednesday. At 6 p.m. Wednesday, the Panel for Educational Policy will meet at the Taft Educational Campus in the Bronx. The panel is set to vote on the DOE Community Schools Policy, "proposals for significant changes in school utilization" and Chancellor's Regulations amendments and proposed contracts. The New York state legislature is in session on Thursday. Mayor Bill de Blasio will deliver his preliminary fiscal year 2017 budget on Thursday. Later on Thursday, de Blasio will head to Washington, D.C. for the U.S. Conference of Mayors winter gathering. He's set to speak at a Friday plenary and then head back to New York City. Queens Borough president Melinda Katz will will deliver the State of the Borough address at Queens College's Colden Auditorium at 10 a.m.
At 10 a.m. Thursday, there will be a press conference held by state legislators, health professionals, advocates and educators about the Mental Health First Aid bill sponsored by State Senator Jesse Hamilton, at the Legislative Office building in Albany. At the City Council on Thursday: At 1 p.m., the Committee on Recovery and Resiliency will meet to introduce a bill to absolve criminal and civil penalties for owners of buildings with code violations that were created in response to natural disaster, and a bill with the same function for building owners waiting for repairs from a city disaster recovery program that also requires that the city refund them of fines paid for these penalties. At 6:30 p.m., Representative Hakeem Jeffries will give his State of the District address at Long Island University's Paramount Theatre. Mayor de Blasio will speak Friday at the U.S. Conference of Mayors gathering in Washington, D.C. Success Academy Charter Schools CEO Eva Moskowitz will speak at a CityLaw breakfast at 8:15 a.m on Friday at New York Law School. On Friday at 9 a.m., the Urban Justice Center will host a policy briefing. The Bronx Coalition for a Community Vision and the Coalition for Community Advancement in Cypress Hills/East New York will discuss the community plans, which are alternatives to the de Blasio’s administration’s plans. 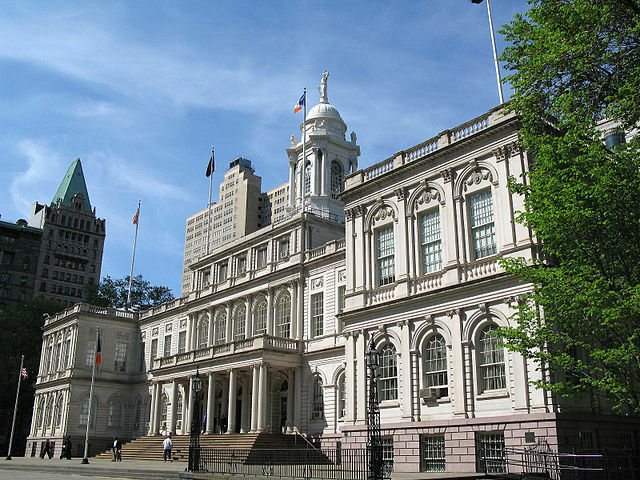 At the City Council on Friday: at 10 a.m., the Committees on Cultural Affairs, Libraries and International Intergroup Relations and Juvenile Justice will discuss “Cultural Non-Profits in the New York City Juvenile Justice System” in a joint oversight hearing. At the New York State Legislature Friday: at 1 p.m., the Assembly Standing Committee on Real Property Taxation will have a public hearing about the real property tax system of New York City. At 4 p.m. on Saturday, Assemblymember Michael Blake will deliver his State of the District address at Dreamyard in the Bronx on Saturday. The second public workshop on Inwood’s neighborhood rezoning will be held by Community Board 12, the Department of City Planning, and Council Member Ydanis Rodriguez at J.H.S. 52 on Saturday at 6:30 p.m.